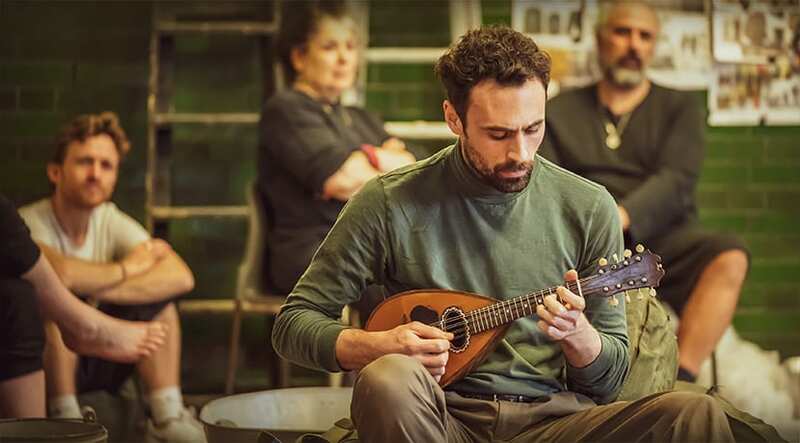 The stage production of Captain Corelli’s Mandolin begins its UK tour this month, 25 years after the publication of the Louis de Bernières novel on which the show is based. Set on Cephalonia during the German/Italian World War Two occupation of the picturesque Greek island, the book tells the story of local woman Pelagia and her lover - the Italian captain, Antonio Corelli. Rona was thrilled to be approached by producer Neil Laidlaw and director Melly Still to adapt the novel: “The opportunity to work with Melly was a huge draw, as I’d worked with her on an adaptation of Watership Down a few years ago. Then I read Captain Corelli properly and really absorbed it. The scale of the book really caught me. So how does Rona feel the climate for UK playwrights has changed during the course of her extensive career? “I’m a Scottish playwright, and I would actually say that the climate for playwrights is different north and south of the border. North of the border, what’s been really interesting is the upsurge in new writing by Scottish playwrights; writing that’s found an audience on a large scale. I think this new situation is also quite fragile, though, and I think there’s a danger that it will evaporate again. Rona’s extensive CV includes working with Ian Rankin to put Rebus: Long Shadows on stage. The show premiered at the Birmingham Repertory Theatre, and the venue has also co-produced Captain Corelli’s Mandolin. So what’s been the highlight of her career up to this point? “The James Plays, for sure. They were commissioned by the National Theatre of Scotland and ended up being a co-production with Edinburgh International Festival and the National Theatre of Great Britain. They were a trilogy of history plays about the three Stewart Kings, James I, James II and James III. They were rehearsed and produced at the same time, which we discovered no one had actually ever done before. People have done trilogies where they do one, then the next the year after and so on, but we were just plonking them all out there at the same time, working with one ensemble of actors from March to October. It was just huge and seemingly impossible to do, yet we managed it. I think the scale of the project and working with that amazing group of people was just the best experience I’ve ever had. Captain Corelli’s Mandolin shows at Birmingham Repertory Theatre from Wednesday 29 May to Saturday 15 June.